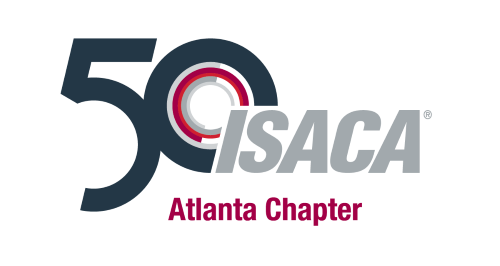 Welcome to the ISACA Atlanta Chapter web site. The aim of our Chapter is to sponsor local educational seminars and workshops, conduct regular chapter meetings, and help further promote and elevate the visibility of the IT audit, risk, control and security professions throughout the local area. Nearing its 50th year, ISACA (isaca.org) is a global association helping individuals and enterprises achieve the positive potential of technology. Today’s world is powered by technology, and ISACA equips professionals with the knowledge, credentials, education and community to advance their careers and transform their organizations. ISACA leverages the expertise of its half-million engaged professionals in information and cyber security, governance, assurance, risk and innovation, as well as its enterprise performance subsidiary, CMMI Institute, to help advance innovation through technology. ISACA has a presence in more than 188 countries, including more than 217 chapters and offices in both the United States and China. ISACA’s constituency is characterized by its diversity. The global community of ISACA members and certified cover a variety of professional IT-related positions—some of which include IS auditor, consultant, educator, IS security professional, risk professional, chief information officer and internal auditor. Some are new to the field, others are at middle management levels and still others are in the most senior ranks. ISACA constituents work in nearly all industry categories, including financial and banking, public accounting, government and the public sector, utilities and manufacturing. Members rely on ISACA for resources that enhance their skills, expand their professional knowledge and connect them with a vibrant community of peers.